February 12, 2019 – The body of Matthew Robineau was found in the Indian River. 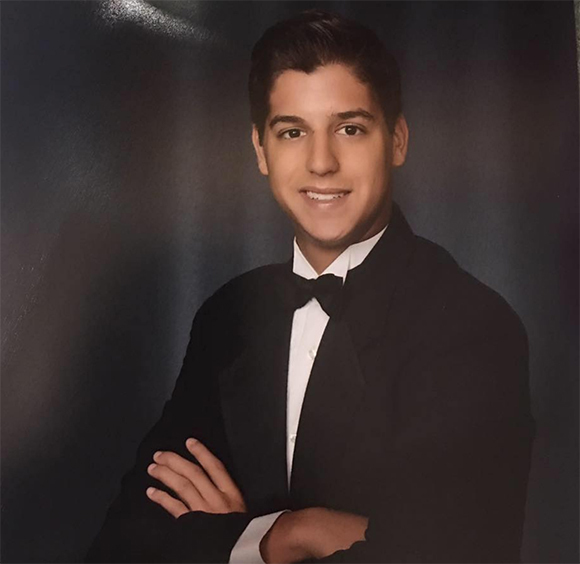 Matthew Robineau, 21, a resident of Indian Harbor Beach, Florida has been missing since Sunday, February 10, 2019 around 1 a.m. He was last seen at Off the Traxx in the downtown Melbourne area of Florida with a group of friends. There was also a post stating he was seen walking east towards the Causeway. His father went looking for him after he received a phone call from Matthew around 2 a.m. He called back and Matthew didn’t answer. He used an app to locate the phone in the Melbourne Causeway. Further searched led him to some of Matthew’s personal items, his cell phone and shirt near Front Street park. Police began looking for Matthew and have not located him. He did not show up for work. Matthew is 5-foot-8 in height, weighs around 185 pounds with brown eyes and brown hair. He was last seen wearing a white collared shirt, jeans and dark tennis shoes. Anyone with any information is asked to contact Detective Tom Cahalan at 321-608-6453. Why are so many missing young men found in the water?